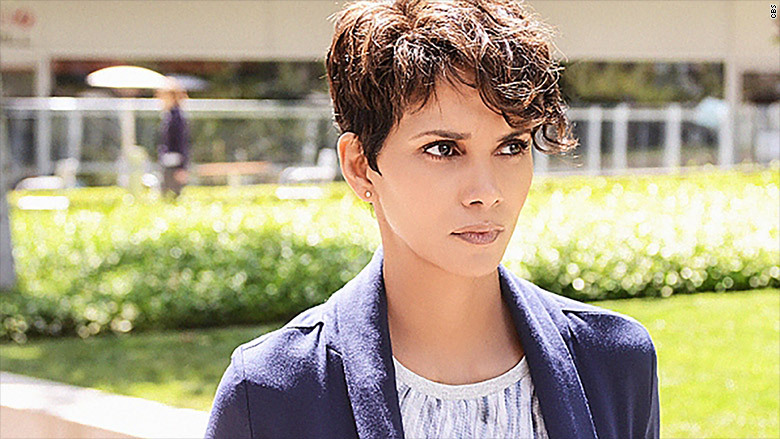 Halle Berry stars in "Extant," which debuted in the summer of 2014 on CBS and Amazon Prime. Somewhere out there, a writer is coming up with an idea for the next great CBS summer series. CBS doesn't know what it is yet, but Amazon already knows it'll be streaming the show. Through an unusual deal announced on Thursday, Amazon snapped up the rights to CBS summer series in 2016, 2017 and 2018. The first one is "BrainDead," a show that CBS announced back in July. It's about a woman who starts working on Capitol Hill and discovers that some of the congressmen are literally brain dead -- as in, they're zombie aliens. CBS calls it a "comic thriller." "BrainDead" will premiere on the CBS network and Amazon Prime's streaming video service in the summer of 2016. The other two shows covered by the Amazon licensing deal have yet to be announced. Maybe they haven't even been conceived yet. Thursday's announcement is the continuation of a successful summertime business model for CBS. Starting with "Under the Dome," CBS has been selling the streaming rights to its summer series in advance, well before the TV premieres. It introduces one such show each summer. "Under the Dome" debuted in June 2013, but Amazon secured the rights in February of that year. CBS has also been selling the international TV distribution rights to the shows ahead of time. As a result, "Under the Dome," 2014's "Extant" and 2015's "Zoo" were pretty much guaranteed to make a profit while providing the network with fresh summer programming. Amazon has had competition: Netflix scored the American rights to "Zoo" last year and acquired the international rights last month. Thursday's Amazon deal, three years into the future, preempts Netflix from doing that again. New episodes of the series come onto Amazon four days after they air on traditional TV. "We're excited to continue to offer in-season availability of more great CBS summer series over the next three years," Amazon vice president of digital video content acquisition Brad Beale said in a statement. Thursday's deal also included an expansion of the two companies' existing licensing deal for older shows like "Medium" and "The Tudors."